To get Directorate general of health services DGHS job circular 2018 related all information,you can visit my website that is jobs.lekhaporabd.com. Directorate general of health services looking for young,energetic,proactive and honest people. if you think,you are perfect to apply this job,you can submit your application. Directorate general of health services DGHS job circular 2018 has been converted to an image file, so that everyone can easily read and download this job circular. If you want to apply for this job,you should submit your application within 26 February 2018. 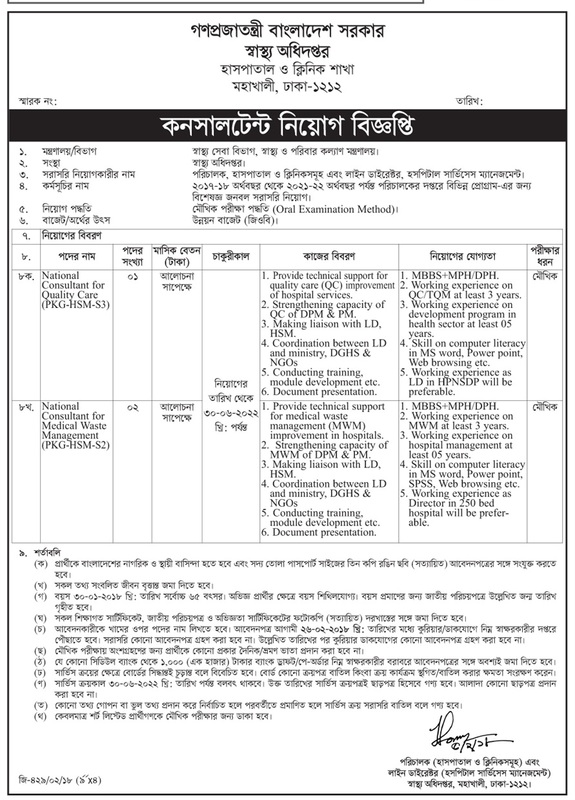 Directorate general of health services job circular 2018 has been given bellow.